“Peep This: Art in Springfield Storefronts” is a new program partnering artists with vacant storefront spaces. The project aims to enliven downtown spaces and offer an attractive opportunity for artists, property owners, and the entire community. ‘Peep This’ features the works of seven local artists installed in five storefronts downtown, at 1391 Main Street, 1373 Main Street, 1 Marketplace corridor, 15 Taylor Street, and 176 Worthington Street. The installations will remain in place until September. Use this map to find your way to all of the individual installations! 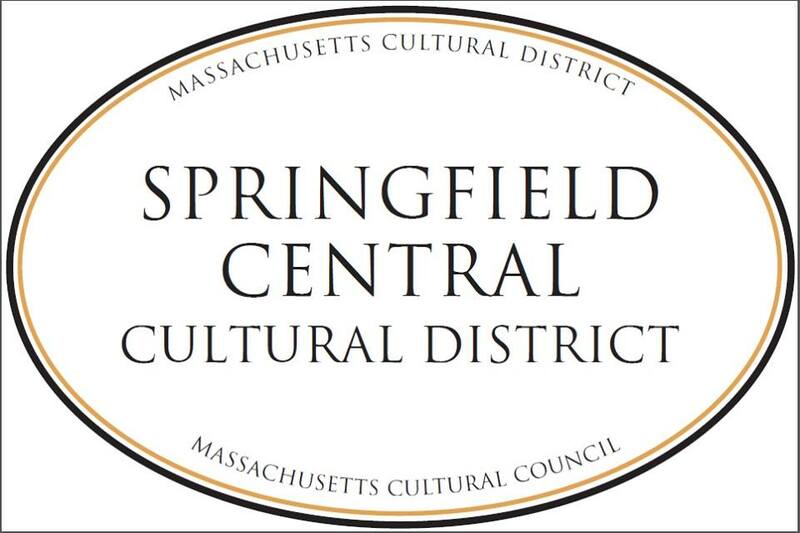 The Springfield Central Cultural District would like to thank sponsors Lessard Property Management Services, SilverBrick Lofts, Go Graphix and the Springfield Local Cultural Council, a local agency funded by the Massachusetts Cultural Council, a state agency, for making this project possible. All artwork is for sale. To inquire please contact Rosemary Tracy Woods at Art For The Soul Gallery, (413) 301-6314. Trish Cataldo is a Springfield native who received a Bachelor’s of Fine Art from the University of Massachusetts Amherst. Combining lively colors and the flash and gloss of modernity, Trish creates ethereal embodiments of nature. Finding simplistic magic in everyday surroundings to celebrate a marriage of art and science in a bright, warm color palette that unifies the work and manifests pieces as one of a kind as the creatures they represent. Sally Curcio studied at Williams College and the American College in London, England graduating with a Bachelor’s degree in Fine Arts in painting at the University of Massachusetts at Amherst. Since then she has shown her work extensively throughout the U.S. and in Cameroon, W. Africa. In 2015 she will be exhibiting her work at the Peabody Essex Museum and the Fitchburg Art Museum, MA. She recently received the Artist’s Resource Trust Grant from the Berkshire Taconic Community Foundation. She is currently represented by Harmon Gallery, Wellfleet, MA and Fresh Paint Art Advisors in Culver City, CA. Her work can also be viewed in the flat files of Amy Morton Fine Arts in Washington DC, and Carroll and Sons Gallery in Boston, MA. Curcio maintains her studio in Florence, Massachusetts. Jack Devlin is a Springfield native. He works in many mediums including paint, charcoal, and sculpture. He is most interested in exploring the quality of experience, and experiences that are in the background. Dana Filibert earned a BFA from MA College of Art and a MFA from Cranbrook Academy of Art. She is a 2015 recipient of the Massachusetts Fellowship in Sculpture/Installation/New Genres and her work has been exhibited in group and solo exhibitions all over the country. She lives in Shelburne, MA. Andrae Green is a painter whose work explores the nuances of the collective consciousness that has been shaped by time, the sea and middle passage. Green was born in Kingston, Jamaica where he attended the Edna Manley School for the Visual and Performing Arts. Soon after in 2006, Green was awarded a grant sponsored by the Jamaican government and the Chase Fund to obtain his MFA in Painting at the New York Academy of Art. In 2011, he was awarded a residency at the CAC Troy, New York. Andrae Green’s paintings have been shown internationally in the US, Jamaica, Canada, China and France. In 2012 he was one of two artists chosen to represent Jamaica in the Beijing Biennale. In 2013, Green was selected as a part of the American delegation that represented the US at the Salon de Société Nationale des Beaux-Arts, at the Carrousel du Louvre in Paris, France. Green’s paintings are included in many private collections around the world. He currently lives and works in Springfield, MA. Chris Marion is a freelance photographer based in Springfield. The majority of his work is sports-associated including the NBA, Sports Illustrated, Complex Magazine, and UConn. He was the team photographer for the Springfield Armor and is currently the Springfield Falcons hockey team photographer. Priya Nadkarni has shown her work in both solo and group exhibitions at spaces such as the Kimmel Center Galleries at NYU, Jersey City Museum, Cuchifritos Gallery NYC, Zimmerli Art Museum, Concordia College, and the School of the Art Institute in Chicago. She is a recipient of the international Elizabeth Greenshields Foundation Grant and was a 2013 artist-in-residence at the Blue Mountain Center. The work exhibited in Peep This, “Three Women of Maria Teresa,” was featured in Hyperallergic’s blog. Priya received her MFA from the University of Massachusetts Amherst, where she was awarded a graduate school fellowship in her final year, and holds a BFA from Rutgers University. She lives in Springfield. We're hard at work on the Holiday Market in collaboration with the Springfield BID. The Artisan Gallery will feature works ranging from hand-knit goods to amazing collages, all by local artists. Opening November 23, the Gallery will have art displayed throughout the large storefront at the corner of Harrison and Main Streets. Locally-roasted coffee brewed by the cup will be available to warm you up on your visit. Swing by on your way in for a gift or perhaps a treat for yourself. Make your Holiday list from the featured artists on our new website SpringfieldCulture.Org!